Citizen: An American Lyric was a finalist for the National Book Award in poetry and winner of the NAACP Image Award, the Los Angeles Times Book Prize, the PEN Open Book Award, and the National Book Critics Circle Award in poetry. It was also named one of the best books of the year by media outlets, including The New Yorker, The Atlantic, National Public Radio, and Publisher’s Weekly. The book lays bare moments of racism that often surface in everyday encounters. It combines poetry with commentary, visual art, quotations from artists and critics, slogans, and scripts for films. It’s “an anatomy of American racism in the new millennium” (Bookforum). Among her many awards and honors, Claudia Rankine is the recipient of the 2016 MacArthur Fellowship, the Poets & Writers’ Jackson Poetry Prize and fellowships from the Lannan Foundation, the Guggenheim Foundation, and the National Endowment of the Arts. She lives in California and teaches at Yale University as the Frederick Iseman Professor of Poetry. 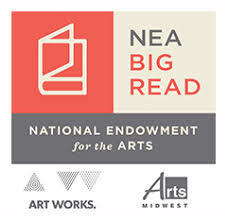 Join us at Shaker Library for one or all of the programs designed by our staff to complement the countywide celebration of the NEA Big Read. February 1 – February 28 at Main Library This local quilting organization will exhibit a new set of museum-quality quilts that document African-American history, contemporary experience, and hopes for the future. The Main Library Art Gallery is located on the second floor. 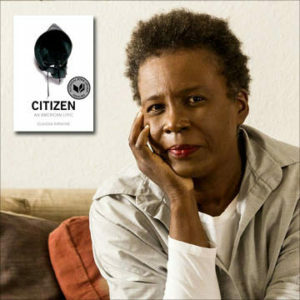 2-3 pm Saturday, February 2 at Woods Branch Written by Jamaican-born author Claudia Rankine, the book exposes modern American racism with poetry, commentary, and visual art. Dr. Adrienne Gosselin, Associate Professor of English at Cleveland State University, will facilitate the discussion. Copies of the book are available at the Bertram Woods Branch Circulation desk. In this multi-media presentation directed by Monica Boone, local community theater group Rising Phoenix will explore themes of race and racism through poetry, drama, music, video, and the visual arts. A discussion with the actors will follow the performance. 7-8 pm Wednesday, February 20 at Main Library At the turn of the 20th Century, African-American artists began creating art to celebrate African and African-American history and culture, an art meant to counter the racist stereotypes that dominated American mainstream culture. David Lusenhop highlights the work of artists from the Harlem Renaissance to today whose mission was, and is, to reclaim and reimagine the Black body and the Black image. Lusenhop is an independent scholar, art collector, and art dealer specializing in African-American art history. 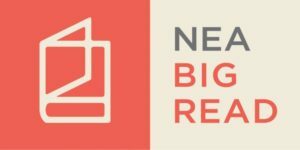 7-8:30 pm Thursday, February 21 at Main Library Shaker Heights High School’s Student Group on Race Relations (SGORR) invites adults and teens to a respectful discussion about microaggressions. What does the word mean? Do I do this? What is the impact on others? What can we do differently to create a healthier, more inclusive community?